Ahed Tamimi recently arrested at the age of 16 is currently behind bars in an Israeli prison. She will soon be facing a military court that convicts Palestinians 99.8% of the time and is facing a 10 year prison sentence. This march is to show our solidarity to Ahed, all other underage prisoners and Palestine as whole. 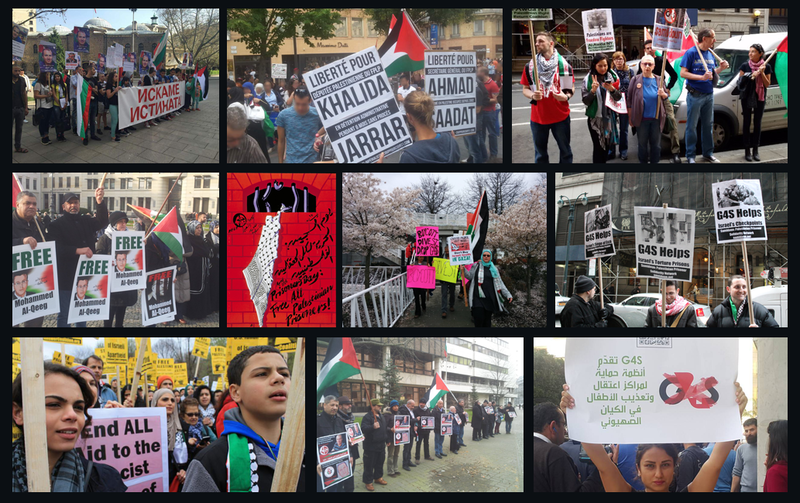 It is a peaceful march to call on our government officials to intervene for the release of Ahed and all Palestinian child prisoners and to finally take a stand against the injustices Israel has brought upon the Palestinian people. Israel is the only country in the world to regularly arrest children and put them through military court. There are currently over 300 Palestinian children in Israel prisons and another 700 Palestinian children in military detention awaiting trial. Ahed Tamimi lived in a small village called Nabi Saleh near Ramallah in Palestine. This town acts as a great leader for Palestine in peaceful marches resisting their Israeli occupiers and is under constant danger of military raids. Numerous members of Ahed’s family have been arrested or killed solely for their commitment to preserving and protecting their villages land, which is under the constant threat of ongoing illegal Israeli settlement construction, land confiscation, mass arrests and other attacks in their village. All of the Tamimi family is aware that they could be woken up in the middle of any night, and be facing bulldozers demolishing their homes to make way for new Israel settlers and be left with absolutely no where to go. Ahed was arrested on December 19, 2017 just an hour after her cousin was shot in the face by a rubber coated metal bullet resulting in part of his skull having to be removed, leaving him in a coma for 10 days and with permanent brain damage for the rest of his life. When these soldiers later entered Ahed’s property standing on her front lawn she asked them leave, the soldiers did not leave and one of them pushed Ahed away, pushing from both sides than proceed and an understandably frustrated 16 year old girl slapped these soldiers in the face. Please keep in mind that these soldiers were armed and had full military gear, Ahed had no weapons and even if the soldiers were wearing normal street clothes Ahed would be of no real physical threat to them. Ahed’s mother (Nariman Tamimi) filmed this event and posted it to the internet, the video than proceeded to go viral and was watched all over the world. The next night the Israeli military raided Ahed’s house and was violently arrested, also the next day her mom was arrested just for filming the event. Ahed is currently in military detention awaiting trial and facing 10 years in military prison. These events and the great bravery shown by Ahed Tamimi has made her the face of Palestinian resistance. There have been demonstrations all over the planet calling for her release and to show support for Ahed Tamimi along with all of Palestine in their fight for freedom!